The Oakland Jazz Brunch is the final event for the SF Noir Wine and Food Festival taking place Feb. 25-Mar 1. The festival will feature Bay Area chefs and vintners in a variety of San Francisco and Oakland locations in celebration of Black History Month. The Jazz Brunch takes place at Kingston 11 - 2270 Telegraph Ave, Oakland. Admission is free; patrons are responsible for brunch. 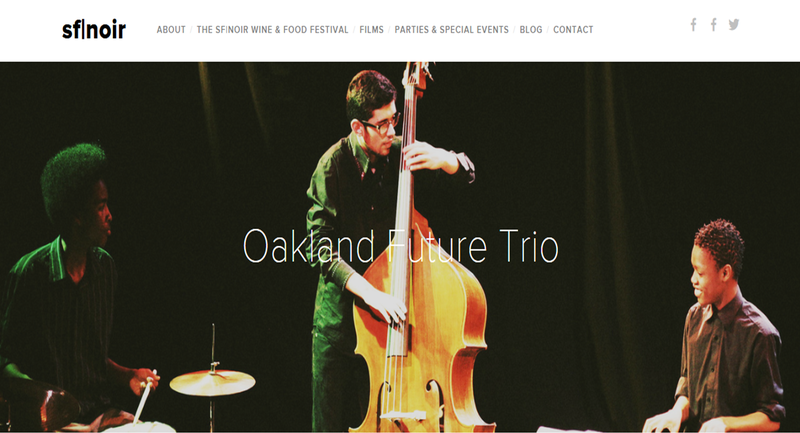 Oakland Future Trio is comprised of Ari Carpenter, Caleb Sankoh, and Mikhi Woodley. The teens have performed around the SF Bay Area consistently since they formed in 2012. For more information on the festival visit www.sfnoir.org. Actress Jonez Cain and Banks Enterprise, Inc. hosts a fundraiser for support of community rebuilding April 5, 2014 at 1:00pm. 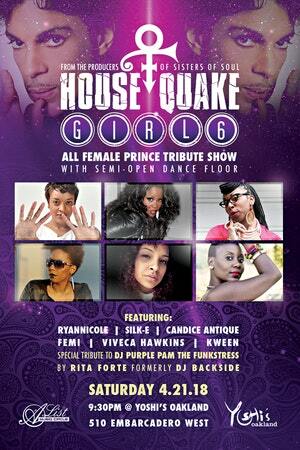 The event will be held at 6225 Baker Street, Oakland. Call (510) 395-3838 for more information. The 2013 California Music Industry Summit takes place at Laney College, June 13-15, 2013. Visit www.TraMaiEntertainment.com for more info. Khela performs at the California Music Industry Summit Mixer, Friday, December 8, 2011. Go to www.CaliforniaMusicIndustrySummit.com for more info. The sultry and soulful Khela performs live in Los Angeles at The Libertine, Thursday September 22, 2011. Khela, a San Francisco Bay Area native, is also a Hollywood Music in Media Awards (HMMA’S) first time nominee in the best R&B/Soul song category for her debut single, “Walk with Me” (Velvet Rhythm Entertainment). For more information on all things Khela, please visit http://www.khelaonline.com/. The Hood Games takes place July 23rd at the African American Cultural Complex in San Francisco. Skateboard culture, music, and arts will be featured along with Martin Luther and other artists. Visit http://www.aaacc.org/gallery-future-exhibitions.phpfor more info. Hill Harper, Regina Belle, Jimmie Reign, The R.O.D., and others perform at this year's Bay Area Black Expo, July 23-24, 2011. Visit exhibits ranging from education to health. Go to http://www.bayareablackexpo.com/for more information. IseLyfe' brings Pistols and Prayers back to Oakland June 17-July 17, 2011. Ticket information can be found here. There'll be lots of networking and learning opportunities at the California Music Industry Summit. But also be sure to check out one of the showcases on Friday or Saturday. Musical artists will perform from all genres of music. The Bay Area Black Journalist Kick-Off Gala Mixer takes place tomorrow in Oakland. Visit babja.org for more info. Mobb Deep performs Sunday, May 29th at the Mezzanine. Go HERE for ticket information. The California Music Industry Summit takes place June 10-11, 2011 at the newly renovated Oakland Marriott Hotel. Network and learn so you can potentially earn. Visit http://www.tramaientertainment.com/for more info. The Hip Hop Music Channel, Inc. will launch it's Bay Area debut on Saturday February 26th, 2011 by honoring Bay Area Hip Hop legends Souls of Mischief, Saafir, Dru Down, Suga-T First female rapper of Sic-Wid-It Records, Black C of RBL Posse, 415, DJ Fresh Nas' Tour DJ & Producer of "The Tonite Show Series", DJ Kevy Kev of Standford Radio KZSU 90.1, Beni B the founder of "The Hip Hop Coalition", Sean Kennedy, Currently the Creator of "Good News in Oakland" and the founder of ILL Trends, Promotions and owner of Moses Music Record Store and journalist Eric Arnold has written for publications like SF Weekly, Source Magazine, SF Chronicle, Complex Magazine just to name a few... The late recording industry icon Shakir Stewart will also be honored with The HHMC Hip Hop Lifetime Achievement Award. The event will be held in the McClymonds High School Auditorium located at 2607 Myrtle Street in Oakland, CA. Registration is now open for the California Music Industry Summit. projects to the top. Visit http://www.californiamusicindustrysummit.com/ for more info. November 11, 2010 at Me Lounge. Come party with local Bay Area Music Industry Professionals. Drink and Tapas specials. Visit http://www.smbtb.com/for more information. The African American Business Exchange is looking for artists to perform at the Holiday Gift Show, December 10-11, 2010 at the Marriott Hotel. Interested parties should check out their website http://www.aabexchange.com/. Drop off coats at any one of the following donations thru November 21st, 2010. Mimosas Champagne Lounge – 2355 Broadway Oakland,Ca. I Can Braid It – 2908 Fruitvale Ave Oakland, Ca. Panama Red Coffee CO. – 289 Mare Island Way Vallejo, Ca.